If you don’t remove plaque in time it can cause you a mouthful of discomfort: tooth decay, cavities, tartar, bad breath and discolored teeth. In the long run you could face gum recession, inflammation and periodontitis with subsequent loss of teeth. Not your favorite bucket list, right? Some would say: You had me at “bad breath”! The best way to prevent plaque is to not feed it with its favorite dish: sugar. Try to avoid sticky candy and sugar-soaked soft drinks (or use a straw to avoid contact with your teeth). Some cough drops contains high doses of sugar and should therefore be avoided. Alcohol and some medicine leads to dry mouth which also makes plaque more comfortable. Fact: A small can of soda contains 11 sugar cubes. Frequent snacking causes just as frequent acid attacks. Sticking to fewer meals per day gives your teeth more time to recover. 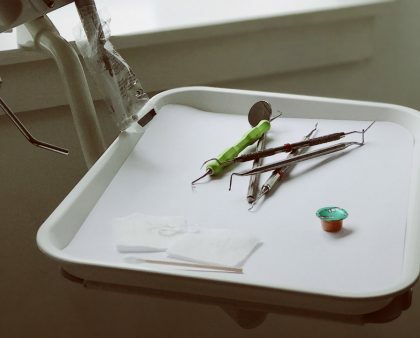 A visit at the dentist might be scary for some but the thought of teeth decay and tooth loss trumps even the most scolding from a harsh (often rightfully so) dentist. 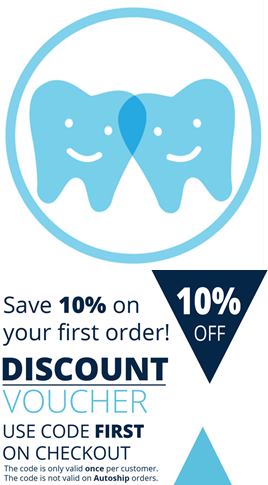 Pay a visit to your local dentist (or dental hygienist or dental nurse) at least once a year – or more often if needed. Plaque is actually invisible for the eye, so a professional opinion will always be helpful. 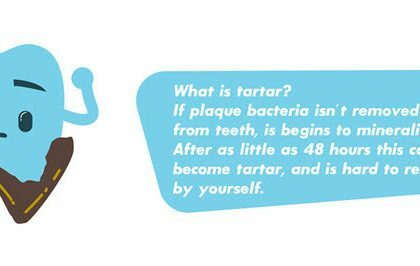 If the plaque has formed to tartar, you should let a dentist remove it before it gets worse. Brush your teeth with toothpaste twice every day. Overdoing it might just have a negative effect since it wears on the tooth enamel. Fact: The first modern toothbrush was created in the late 18th century. It was made of cattle bone and swine bristles. The 2-2-2 rule is easy to remember: Brush for two minutes, two times a day and use two centimeters of toothpaste (small children should use toothpaste in the size of their little finger nail). Is there a 100% natural way to get a white and healthy smile? Yes, and it happens to be green. 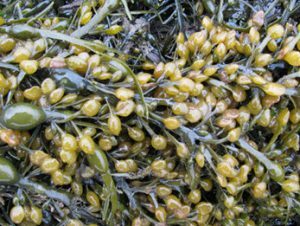 The seaweed Ascophyllum nodosum is one of the fastest growing natural supplements for removing plaque and reduce tartar. It’s harvested in the fresh waters of the North Atlantic. 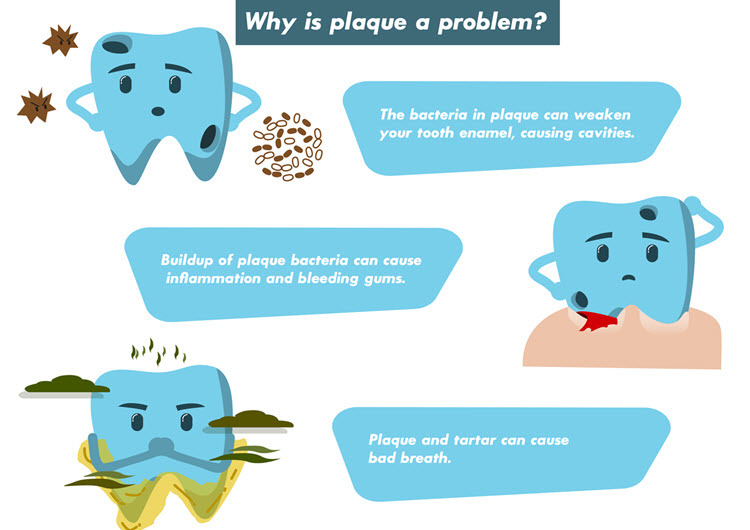 Fact: 3 out of 4 still have plaque on their teeth or tartar deposits after brushing their teeth. 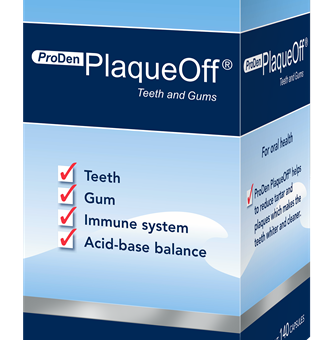 The most popular product with pure Ascophyllum nodosum is ProDen PlaqueOff®. Make it a natural complement to your daily oral hygiene. It’s packed in a convenient easy-to-swallow capsules. The teeth has five sides but it’s easy to forget the onces in between. Flossing is especially helpful if you have a tight space between your teeth. If you think it’s hard to use regular floss, try a pre-loaded dental floss holder that makes the process more easy and convenient. If you are really serious about your dental hygiene, you should use interdental brushes for cleaning between your teeth. The space between your teeth will widen as you get older, which increases the importance of interdental cleaning. Talk to your dentist to find the right size for you.